When the snow conditions are right, the MDNR Cadillac Pathway parking lot off Seeley Road just east of Cadillac, will be filled with cars left by cross country skiers, fatbike enthusiasts, and snowshoers. 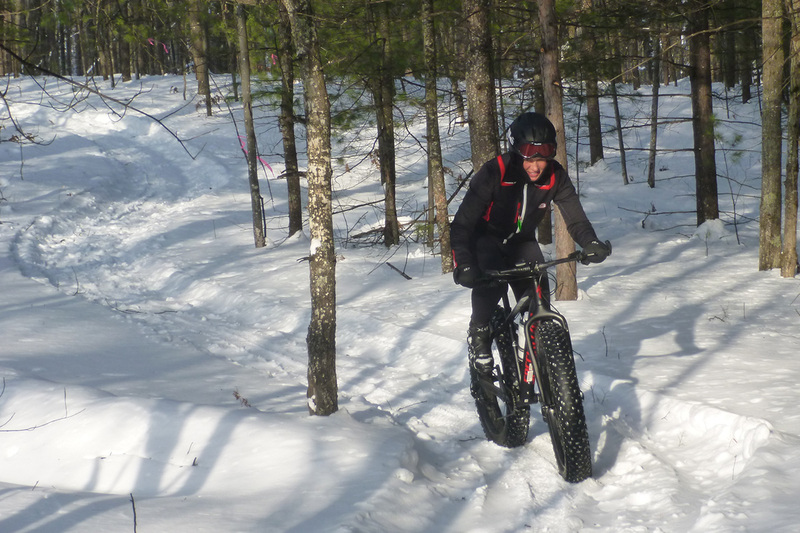 While the Cadillac Pathway has been a popular cross country ski destination since the 1970s, the New Winter Sports Trail (WST) welcomed its first bikers and snowshoers in 2016. 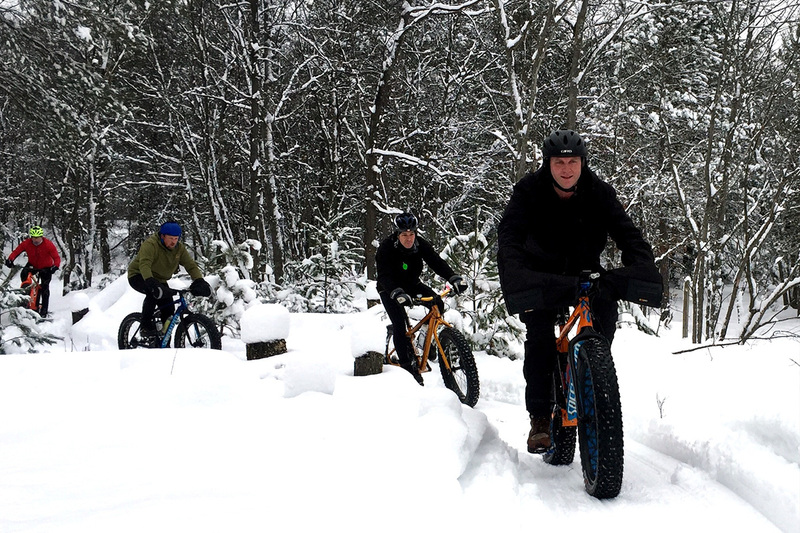 For fatbikers, used to having to drive about forty miles to the Vasa Trail in Traverse City or the Big M near Manistee to find a prepared trail, having a groomed venue close to home is good news. 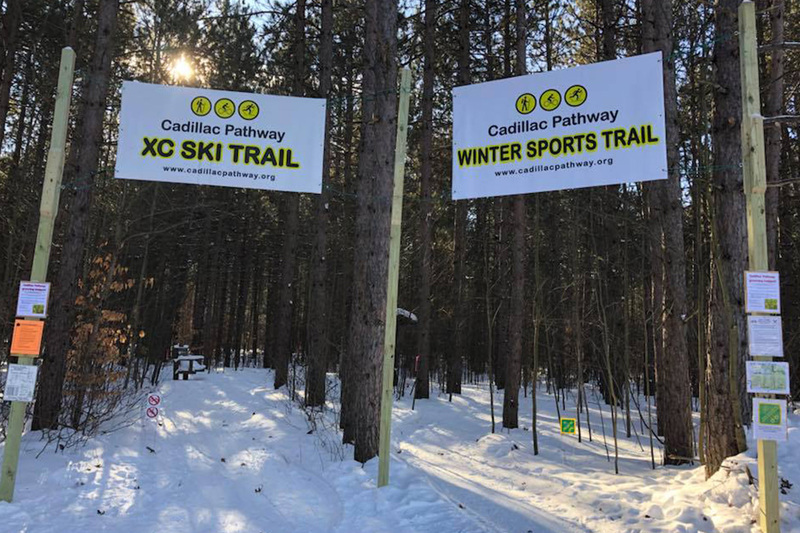 Visitors to the Cadillac Pathway will find the Winter Sports Trail’s start point is adjacent to the beginning of the ski trail (see banners). During the non-snow months, the Pathway is the most-used mountain bike/fat bike/ running /hiking trail in the Cadillac area. Prior to 2016, once the 11.3 mile trail was snow covered, it was groomed for skiers. Good news for the skiers but unfortunate for the cyclists who had to go elsewhere. Then, most fatbikers found themselves having to share two-track roads and trails with snowmobiles, ATVs and automobiles, not now. Until three years ago when Rob Millen and Michele Andrews began to think about creating a groomed trail for fatbike enthusiasts. Michele, an avid skier herself, saw possibilities in establishing a trailhead at the same start point as the Cadillac Pathway. This would allow the sharing of restrooms and the parking lot. Rob began to put together a route incorporating existing two track roads and a new trail through the forest. After hours of coordination with the MDNR, the new seasonal trail is ever expanding. 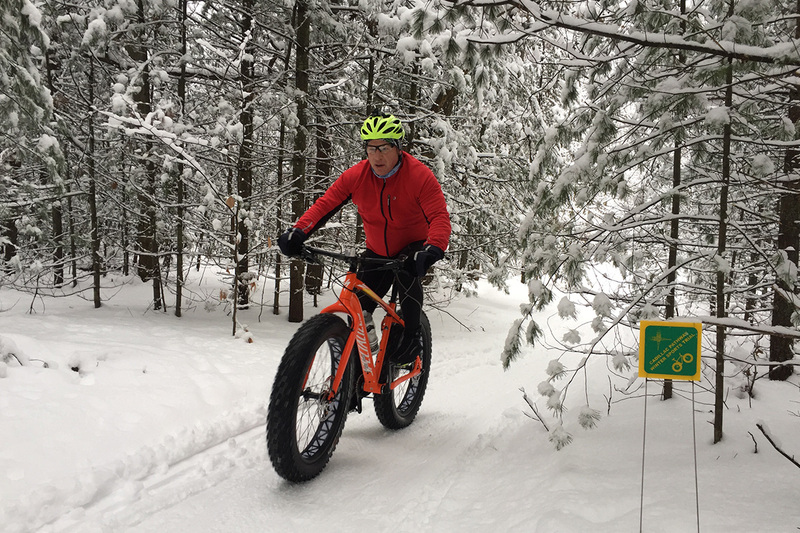 Today, the skiers still have their trail, and now fatbike riders and snowshoers can travel over loops of 4, 7, and 11 miles – totaling nearly 12 miles of groomed trail. Grants and donations by the Rotary Club of Cadillac, the Michigan Department of Natural Resources (MDNR) as well as proceeds from the annual Bear Claw Epic Mountain Bike Race (in September) have provided funds to purchase a snowmobile, grooming sled, trailer and are being used in the building of a Pavilion. A partnership with the Wexford-Missaukee Career Technical Center Small Engine Group has enabled the trail user volunteers and students to keep the snowmobile and groomer equipment in top shape. The MDNR considers the trail WST as “seasonal trail” meaning that it isn’t open for use until December 1st and needs at least six inches of snow on the ground. The trail closes April 1st or whenever the snow level drops below a half-foot. As you enter the Pathway parking lot off Seeley Road, the ski trail is to the right with crisp parallel cross country ski grooves heading into the woods. To the left is the beginning of the WST – a three-foot wide packed area that’s been rolled by the groomer and is ready for fatbikers, and snowshoers. From the parking lot, the WST heads into the woods where it twists among the hardwoods and pines. Improvements to the trail have rerouted it away from the stretches of rutted two-track road that provided unwanted challenges to riders during the first year on the original route. This first section is quite level and even the most inexperienced cyclist will feel comfortable maneuvering through the forest. About 3 miles in, the trail reaches Seeley Road. After crossing the road, some hills will be encountered. Most are short steep climbs without scary downhill runs. If a rider would rather not do the hills, they can continue the 4 mile loop, return back the way they came or can ride the paved Seeley Road about a mile back to the parking lot. 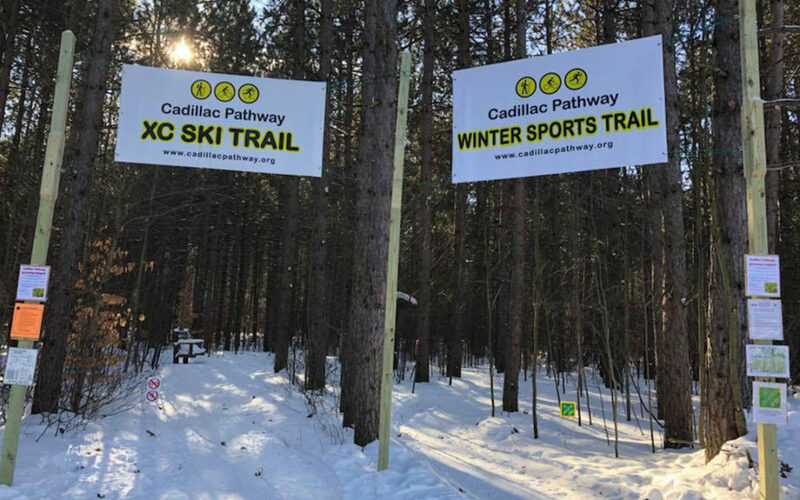 Although the Cadillac Pathway – Winter Sports Trail and Cross Country Ski Trail both get used a lot by local skiers, fatbikers, and snowshoers, the Pathway has become a popular destination for outdoor enthusiasts from other areas, particularly downstate. Cadillac, which is at an elevation of 1250 feet tends to hold snow better than surrounding regions and is often the farthest area south to offer cross country skiing and a groomed fatbike trail for much of the winter, making it a tourist destination for those coming north from Detroit, Grand Rapids and Lansing. Make sure you have your MDNR Recreation pass, it’s required to park in the Trailhead parking lot. If you don’t have one, you can obtain a ‘day use’ pass on site. The Recreation Pass financially supports all MDNR recreation activities statewide.  For more information like maps, please go to www.cadillacmichigan.com/…?